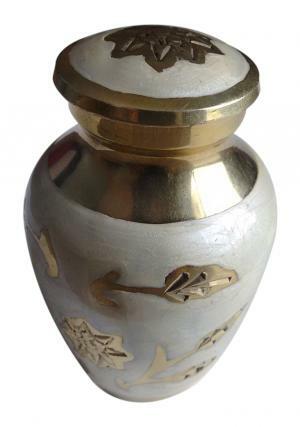 » Size (Inches): 1.77" X 1.77" X 2.76"
Gold leaf floral keepsake cremation urn is a hand decorated mini memorial urn made of quality brass, intricately designed from skilled technicians. 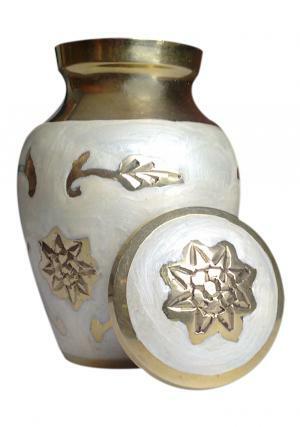 The gold leaf floral mini urn is decorated with pearl ivory white on brass metal and engraved flower crowned leaves finished in polished smooth finish of gold enamel. 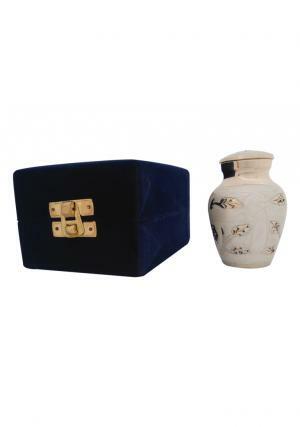 The brass mini ivory keepsake urn is secured with threaded lid on top for an easy insertion of ashes and securely close the top lid. 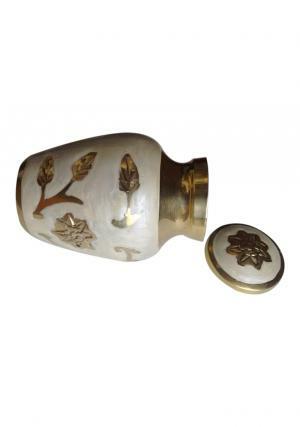 The lid of mini pearl white urn is engraved in floral presence in gold and ivory white pearl finish. 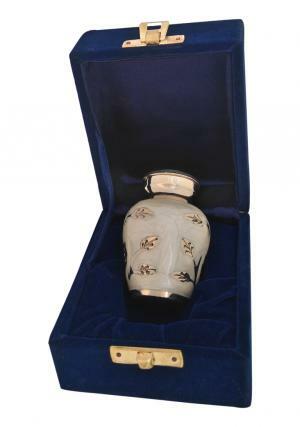 The keepsake white pearl urn is measured to carry 5 cubic inch of small token ashes and 0.16 Kg in weight. 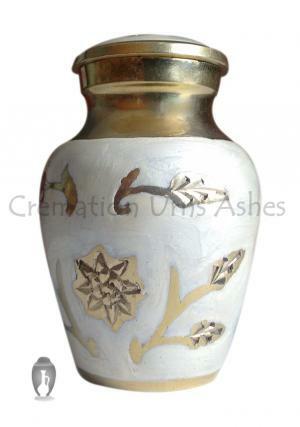 The dimensions of mini gold leaf keepsake urn for ashes are 2.76 inch height, 1.77 inches in length and width.